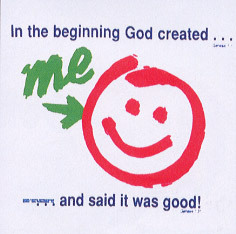 "In the beginning God created...Me...and said it was good!" on a white tshirt (as shown). Heavy weight Hanes cotton shirts.